Welcome to our exhibits page. 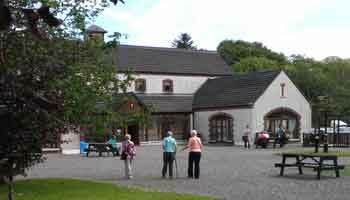 The folk park prides itself on its ability to bring the past to life through a wide assortment of displays and tours. 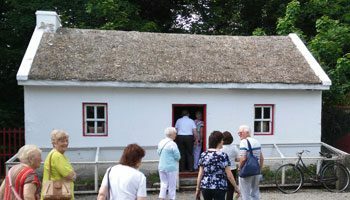 When you visit Sligo Folk Park, you are travelling back to a simpler time in Irish history expertly explained by our dedicated team of enthusiasts. Mrs Buckley’s Cottage is a beautiful example of a traditional twin roomed thatched cottage once common place across the West of Ireland. Here visitors can see how up to 10 people lived and how this particular cottage travelled to New York and back amongst other exotic locations. Within the exhibition hall is fully recreated village street which would have been at the centre of the community in the early 1900’s. Included is a Creamery, Village Post Office, General Store, Drapery shops and more. Visitors have the chance to explore each storefront at their leisure and learn the importance of each in times past. Built in the style of a traditional residence, with courtyard; visitors can see one of Ireland’s finest collections of rural history and agricultural artefacts. Exhibitions and displays are regularly updated so check out our events section to see what’s happening. 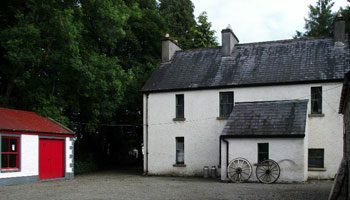 Built in the late 18th century, Millview House is a fine example of a farmhouse of the period. It has been lovingly restored with each room tastefully arranged with furniture and objects from the day. Adding to the authenticity, visitors can learn about the Ryan family and their ties to the community. 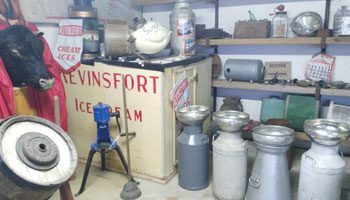 Once the lifeline of many rural communities, visitors can see a huge selection of dairy related artefacts, some of which has been used at the local Creamery. 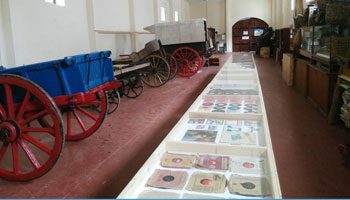 Learn of the dairies importance in times past, read the early 19th century ledgers and see the first milking machines, butter churns, pasteurisers and more. Here visitors can learn about emigration in famine times through Sligo port to America, Canada and further afield. See the numbers, read their stories and the information about vessels they travelled upon. 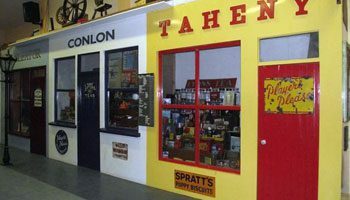 This exhibition is also home the Folk Parks poteen still, famine pot, looms and an early electrification display. It also has poetry from Patrick Higgins. 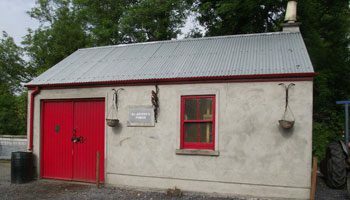 Here visitors can experience the smells, noise and atmosphere of a working Irish forge. 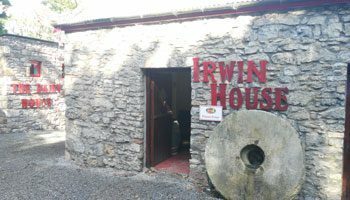 Once an absolute necessity throughout the Irish community, this forge has been accurately recreated containing the tools and equipment necessary to both manufacture and repair products from all walks of society. 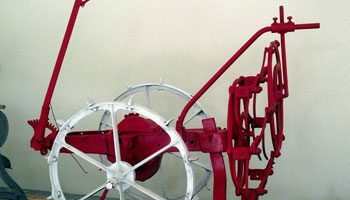 This large Museum is home to a stunning collection of hand made straw and wicker crafts and some larger agricultural and engineering artefacts. Many of the Folk Park’s restoration projects are carried out here and visitors may have the opportunity to see restoration in progress. You can see a full sized restored church organ, baptismal font, Bishop Clancy portrait and other memorabilia. 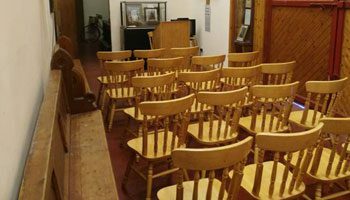 It is a chance to learn about the churches involvement in rural Ireland and its importance to rural communities. Recently added, an audio visual display will interest young and old alike. 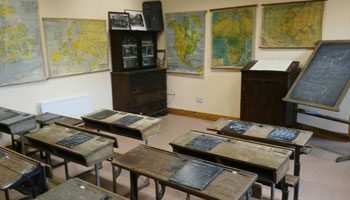 Come in and see an accurately recreated Irish classroom complete with school desks, books, chalk boards and more. You can have the chance to experience school as children in the 18th and 19th centuries would have. Don’t forget your sod of turf! Covering almost most aspects of farming in the late 19th and early 20th century in the West of Ireland. These were all hand or ox drawn with some converted to engine power easing labour in the 20th century. Visitors will be guided through each implements use, its benefits to the farmer, the dangers associated with it and how modern farming has evolved. A new addition to the Folk Park, the military exhibition commemorates the locals who took part in both the wars at home and in WWI. Visitors can read their stories, see the names of those who fought and died from the area and see the equipment used both at home and abroad. A fascinating and personable experience. 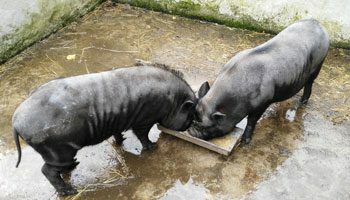 The Folk Park is home to pot bellied pigs, laying hens, colourful peacocks and hissing geese with new additions added annually. Fun for both young and old, we encourage visitors to engage with and learn as much as possible about our friendly residents and their roles on traditional Irish farms. 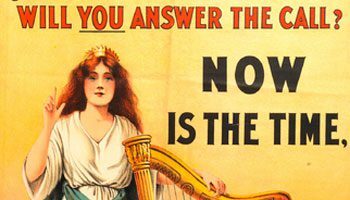 Within the Folk Park we have amassed a wealth of Co. Sligo related research papers, census returns, birth/baptismal/death documentation and much much more. 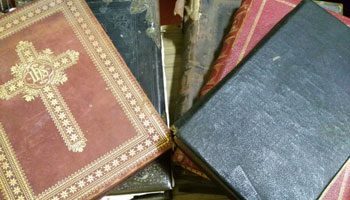 If your ancestor hailed from Co. Sligo or you are interested in conducting some research, we are sure you will find something of value among our collection. In the main courtyard, the picnic and play area is a great place for your kids to unwind. 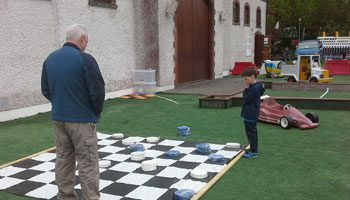 Let them play giant footpool, snakes and ladders or play with the various toys while the adults grab a bite to eat or unwind with a cold drink in the Beehive Café amongst relaxing surroundings. 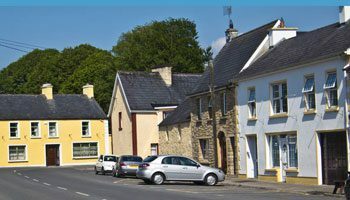 One of the most beautiful villages in South Sligo, Riverstown is well worth taking the time to have a stroll about. The village is one of a few in the area not to have felt the effects of over development during the Celtic Tiger years and has managed to maintain its identity. Many of the town’s buildings have been in place over many generations and little has changed in over a century. Visitors are encouraged to take the riverside walk to the park and back around by the John Stenson statue, Morrison Teach Ceol and village forge.